Cinematographer Sean McElwee arrived at the 2017 Sundance Film Festival with two films in the Premieres lineup: Fun Mom Dinner and The Incredible Jessica James. 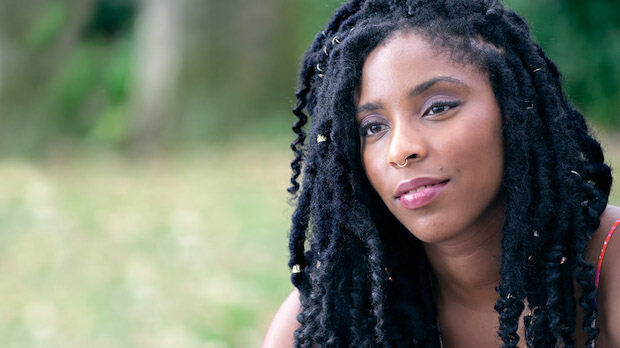 The latter, from writer/director Jim Strouse, represents the first leading turn from Daily Show correspondent Jessica Williams. The film chronicles the romantic woes (and comic mishaps) of an aspiring playwright in New York City. Below, McElwee discusses how to shoot a comedy with romantic notes and have it not scream “romantic comedy.” The Incredible Jessica James screened three times during this year’s Sundance. 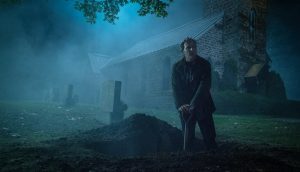 McElwee: The producer, Michael Clark, and I had previously worked on a film together called Morris From America and he thought that Jim and I would work very well together, so he put us in touch. Unfortunately, I live in LA and Jim lives in NYC, plus I was traveling a lot for work at the time, so the interview process was a series of phone calls as opposed to face to face meetings (which is obviously not ideal). However, Jim and I instantly clicked and, even just over the phone, I think we realized very quickly that we would make a great team. McElwee: When you’re presented with a script as good as the Jessica James‘ script, sometimes (and this may sound strange) the job as the DP is to sort of get out of the way, not overcomplicate things, and sort of let the story tell itself. Sometimes a really cool shot at the wrong moment can actually diminish the quality of a film – and we always wanted to preserve the nature of the script by approaching the aesthetic as simply and efficiently as possible. That being said, we never wanted to just throw the camera on a shoulder and run around with the actors. One of the guidelines Jim and I made for ourselves early on was we always wanted to craft every scene, as opposed to just documenting it; there needed to be a purpose for every shot, every move – we never wanted to go vérité simply because we were running out of time or the blocking was too intricate. Our meticulous planning in prep really allowed us to come up with a specific and significant shot list, where every shot, every move has a purpose. McElwee: Jim and I discussed the films of Woody Allen a lot during prep – how his aesthetic always allowed the actors and the script to shine – and the camera never felt the need to be in the forefront of any scene. Jim and I also talked a lot about color, and how we wanted this to be a colorful film, but have it come from an organic place. Especially concerning New York itself, we never wanted to create an idyllic version of the city. We wanted to show it for how it truly is. So by featuring the color that is already inherent to the city, we were able to make a “colorful” movie but never stray from how New York really is as a city. McElwee: I think the biggest challenge just in general, which is usually the case with low budget films, is the lack of time. I can handle the lack of resources, I’ve shot movies with three lights before – but time is the most valuable asset on a film set, and on Jessica James we had a pretty tight schedule. Also, the script called for a lot of locations, forcing us to sometimes have three location moves a day. Never ideal. McElwee: We shot Jessica James on Alexa, which in my opinion is still the gold standard for digital cameras. I think its censor captures the most “filmic” images of all other systems. We had Angenieux Optimo zooms and Cooke S4 Primes. McElwee: Jessica James is essentially a comedy with some romance, but from a lighting perspective, we never wanted it to feel like a “romantic comedy.” Our night scenes in particular feel a bit more grounded and real than your average comedy. The lighting was soft and pleasant, but for the most part, we never used fill light. I like to create soft wraps of light across the actor’s face, but always have it come from their key side. Almost never do I have a fill light coming from the fill side. I think this gave us a more realistic look, while still giving the actors a soft, pleasant quality of light on their face. McElwee: There is a scene in the film where Jessica’s ex-boyfriend shows up out on her window ledge and demands to talk about why their relationship ended. From the very beginning of prep, pretty much up until the week before we were supposed to shoot the scene, we were asking ourselves “How the hell are we gonna get our actor out on a high window ledge and shoot a three page scene with him safely on our budget and schedule?” I won’t give too much away but sometimes the easiest solution is the best one. McElwee: We didn’t have the budget for an actual DI (we simply had a “Data Manager”) so I exposed the camera using the Arri Rec709 LUT as a reference, knowing full well that I would take the Log footage that we captured and bring it into the DI and sort of start from scratch with our look. Mike Howell at Color Collective did a lot of great work in not a lot of time in this regard.